A masterpiece born by a joke. 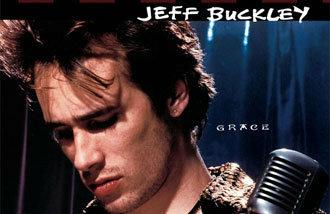 January. 17, 2019 07:49. by Mu-Kyung Shin fighter@donga.com. Life and art cannot be serious all the time. Sometimes, jokes can be just as valuable as a serious remark. A joke can transform into a famous saying and a work made as a joke can turn out to be a masterpiece. 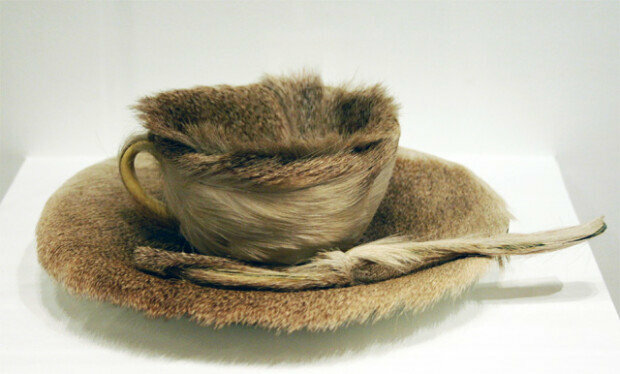 This bizarre fur teacup made by Swiss surrealist Meret Oppenheim from a joke with Pablo Picasso. One day in 1936, Oppenheim met Picasso and his new lover Dora Maar at a café in Paris. At that time, the 23-year-old rising surrealist had been living in Paris for four years. She came to study in Paris at the age of 18, and spent more time meeting other painters in cafes than at a conservative art school. Oppenheim, who was beautiful, independent and humorous, quickly mesmerized avant-garde painters in Paris. She spent time not only Picasso with but also with Andre Breton, Max Ernst, Alberto Giacometti, Marcel Duchamp, and Man Ray, becoming their muse. At the café, Picasso admired a bracelet covered with fur that he had on and joked that ‘anything could be covered in fur,” to which Oppenheim replied, "Even this cup and saucer.” When the tea she was drinking cooled down, she continued to joke ordering “another cup of fur.” Then, as if something came up in her mind, she ran to a department store, purchased a tea set and a spoon, and covered it with Chinese antelope fur. The only thing that changed was the material but a daily item suddenly became an unfamiliar object. When the teacup was covered in fur, it completely lost its original function and was reborn into an art that stimulates our unconsciousness and imagination. That same year, this work was invited to the first surrealism exhibition at the Museum of Modern Art in New York (MoMA) after going through exhibitions in Paris and London. As the artwork garnered attention, Oppenheim rose as a star in the world of art. When MoMA purchased this work that year, the painter was playfully called the "First Lady of MoMa." The work, which represents surrealism and the first artwork of a female artist that MoMa purchased, was actually an early work born from a joke and casual conversation.